Seperates fat from gravies, soups and stocks easilly. Made of durable acrylic. 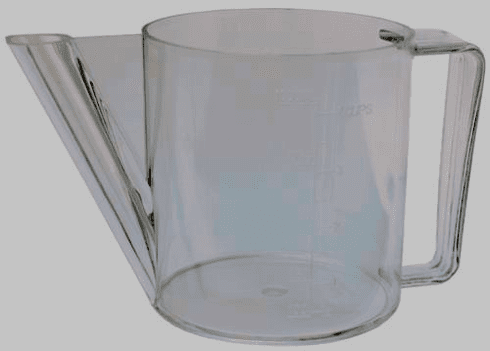 Holds 1.5 cups.